The Something mAAgic Foundation® relies solely on fundraising and the generosity of corporate and private donations to make mAAgic happen. This includes year-round fundraising efforts by the board members of the foundation. 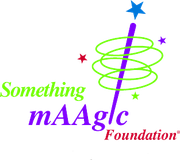 Because of your generosity, the Something mAAgic Foundation® can sponsor our annual marquee event mAAgicsm flight as well as mAAgic enhancements throughout the year. mAAgic enhancements help make the experience for each child traveling on American Airlines for their wish even more special. Please remember that all donations, regardless of size, furthers our mission and gives another child a chance to have a mAAgical experience! 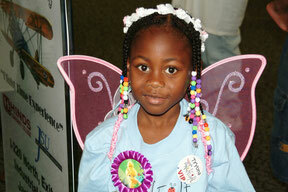 Employees of American Airlines have special resources for contributing to the Something mAAgic Foundation®. Go to Jetnet for more information on how to donate to the Something mAAgic Foundation®. The Something mAAgic Foundation is exempt under Section 501c(3) of the Internal Revenue Code, making donations tax deductible. Please complete the form below to donate securely via credit card. Do you have a special skill you are willing to share with the Something mAAgic Foundation®? Do you have resources that can assist in our mission (i.e. office supplies, toys requested by a child, party supplies, etc.) Please contact somethingmaagic@gmail.com for more information and how you can help. Do you want your company or organization involved in raising money for the Something mAAgic Foundation®? Please contact somethingmaagic@gmail.com for information and ideas on how to get started.